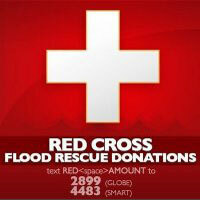 All donations coursed through TXTPower will be sent to the Philippine National Red Cross. how does one apply for this donate via text? 🙂 we have an org Young Moro Professionals Network. we are interested in raising fund for human rights , flood and evacuees victims in mindanao.